They contribute as much as the captain (of course they don't, but it feels that way to them). 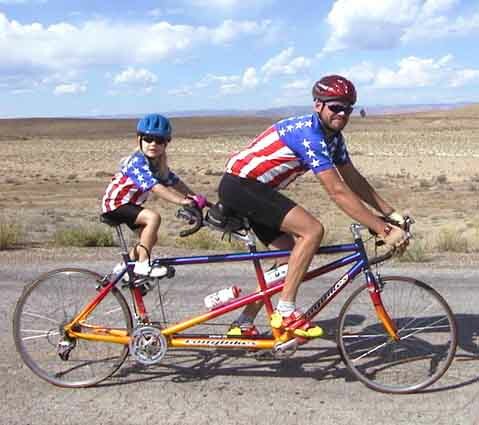 When taking them along on a tandem you are signaling to them that you are taking them serious as a partner. Also, the fact that a child on a trailercycle can rest may turn out to be a real disadvantage: Children who don't feel that their effort is needed might get bored, or a child taking a break on the trailercycle might actually fall asleep. 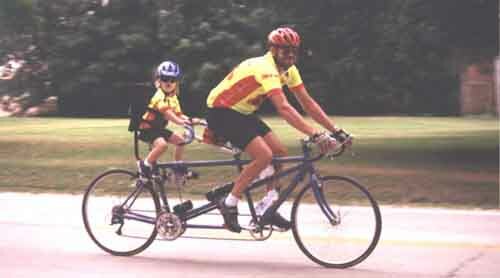 This can also happen on a tandem, but you will notice it much more easily. In addition, tandems are easier to ride. They are more stable than most trailercycles (maybe with the exception of the Burley with its sturdy rack-mounted hitch). Yes, you can attach a trailer to a trailercycle - some teams do that. Some even form long "road trains" with a tandem towing both a trailercyle and a trailer. However, it would seem that this greatly increases the stresses on the trailercycle's hitch. I would only use a trailercycle if you absolutely must have the flexibility it offers. The largest advantage of trailercycles is their lower price. 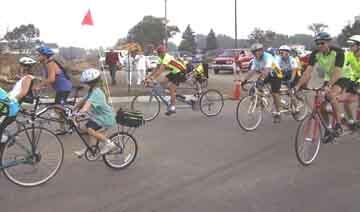 However, if you are on a tight budget and only intend to ride with your children a cheaper model or a used tandem would not take away any of the pleasure of riding with the kids. 1. The trailercycle probably doesn't have gearing to match a tandem. 2. If you ask folks who've tried both, you'll get a response which overwhelmingly favors using a tandem. 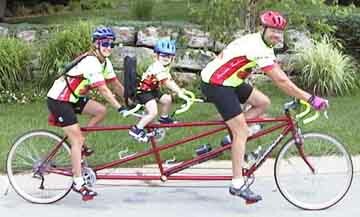 If you can afford to use a tandem, do it.